This entry was posted on December 10, 2014 by Van Rental. 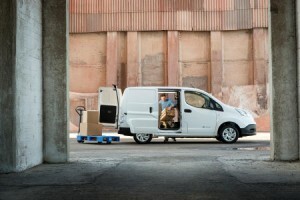 Electric van like the Nissan e-NV200 make perfect sense for London — and are competitive on cost, too. The mayor of Paris, Anne Hidalgo, hit the headlines over the weekend with a call for diesel cars to be banned from the streets of Paris by 2020, as part of a plan to reduce pollution. In London, monitoring data show that the capital City has the higest levels of nitrogen dioxide (NO2) pollution in Europe, according to Bloomberg. The government’s own figures show that 29,000 people die in the UK from air pollution every year. NO2 is one of the most harmful emissions from diesel engines, and is linked to a range of respiratory diseases. However, when those clever people at the EU decided to focus on lowering CO2 emissions in 1998, they decided to ignore NO2, leaving the door open for a vast increase in the number of diesel vehicles on the road. As we’re now discovering, despite their superior fuel consumption and lower CO2 emissions, diesel cars aren’t they healthy for urban residents — petrol would be a lot better. A new report from the government’s Environmental Audit Committee says that diesel is now “the most significant driver of air pollution in our cities”. Of course, diesel remains the only viable option for most lorries and buses, but it isn’t necessarily the only option for cars and vans operating in urban environments. As I’ve written many times before, vans typically have predictable route and usage patterns and are often parked up off-road overnight, making them ideal candidates for conversion to electric power. Of course, the EU is in full-scale denial mode: according to a Bloomberg story, EU spokesman Joe Hennon claims that the EU’s stance on cutting emissions “is and always has been technologically neutral”. Er, yes, except for the decision to focus obssessively on CO2 emissions, while allowing diesel cars to pump out 3 times the level of NO2 that petrol engines are allowed to emit. As a result, around half of the cars on UK roads are now diesel, up from less than 10% a couple of decades ago. Regulatory action is needed for this situation to change: van manufacturers have their hands tied by the current tax regime, which is solely linked to CO2 emissions. Similarly, van operators will continue to buy diesel models because petrol alternatives are thin on the ground — and often cost more to tax.